February is Black History Month and throughout the month OLMC will feature stories from the rich tradition, and at times hidden history, of Black Catholics in the United States and around the world. This week we hear about Sr. Thea Bowman. 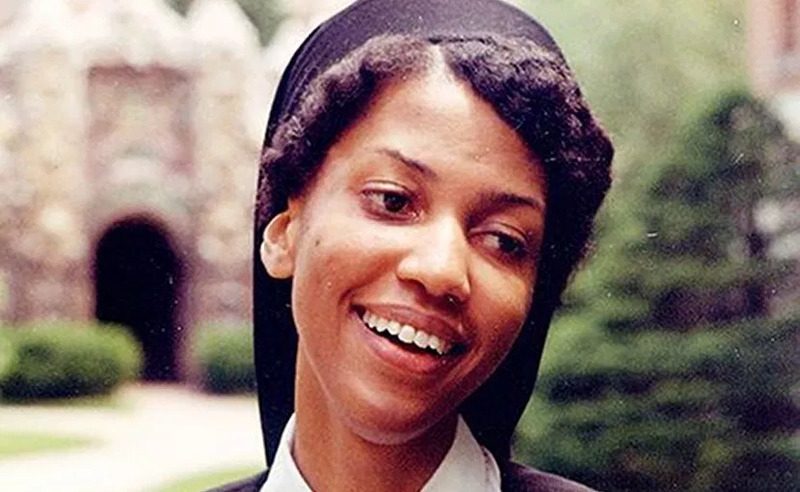 The U.S. bishops endorsed the sainthood cause of Sister Thea Bowman on Nov. 14, 2018, during their fall assembly in Baltimore. The granddaughter of slaves, she was the only African-American member of the Franciscan Sisters of Perpetual Adoration and the first black woman to address the U.S. Conference of Catholic Bishops. She was born on December 29, 1937 in Mississippi, reared as a Protestant until, at age nine, she asked her parents if she could become a Catholic. Sister Thea Bowman shared the message of God’s love through a teaching career and later, the bishop of Jackson, Mississippi, invited her to become the consultant for intercultural awareness. Sister Thea gave presentations across the country that encouraged people to communicate so that they could understand other cultures and races. In 1984, Sister Thea was diagnosed with breast cancer. She prayed “to live until I die.” Her prayer was answered—Sister Thea continued her gatherings seated in a wheelchair. In 1989, the U.S. bishops invited her to be a key speaker at their conference on Black Catholics.